Your next big celebration just got even sweeter! 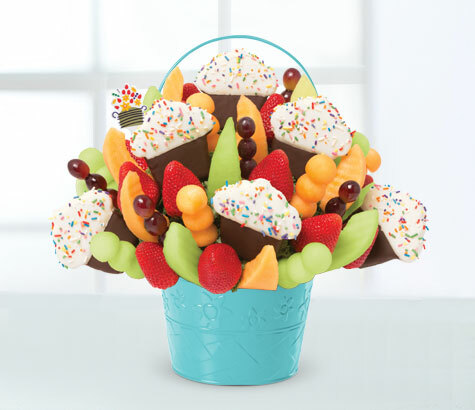 Our NEW Grand Confetti Fruit Cupcake™ fruit bouquet features cupcake-shaped pineapple dipped in gourmet white and semisweet chocolate with rainbow sprinkles, and is filled with fresh strawberries, honeydew, cantaloupe and grapes. It’s all artfully arranged in a custom cake-shaped container for an extra festive presentation.